Same specs as our very popular mahogany 6-string tenor, but with the sweet tones and great looks of a beautiful solid Big Island koa top. Entirely handmade. 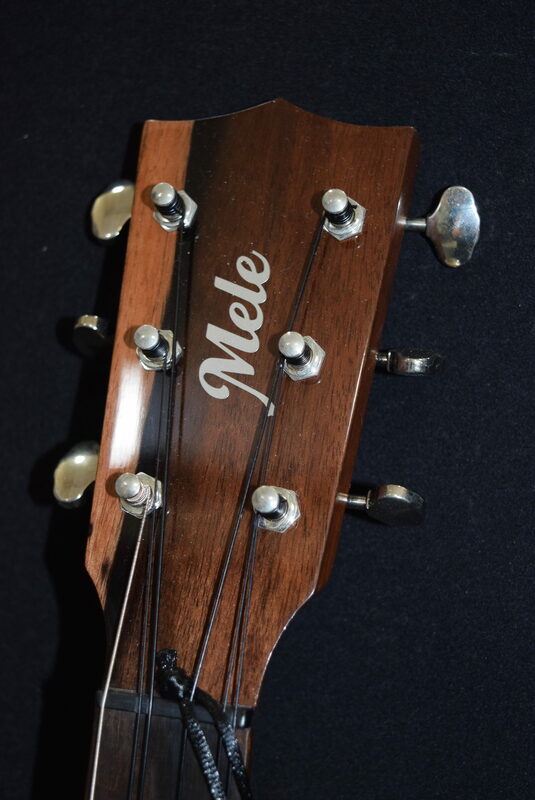 19 frets, geared tuners, ebony binding, bridge & fingerboard. 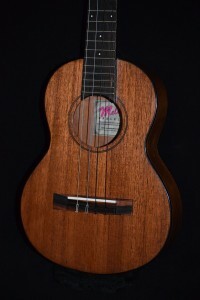 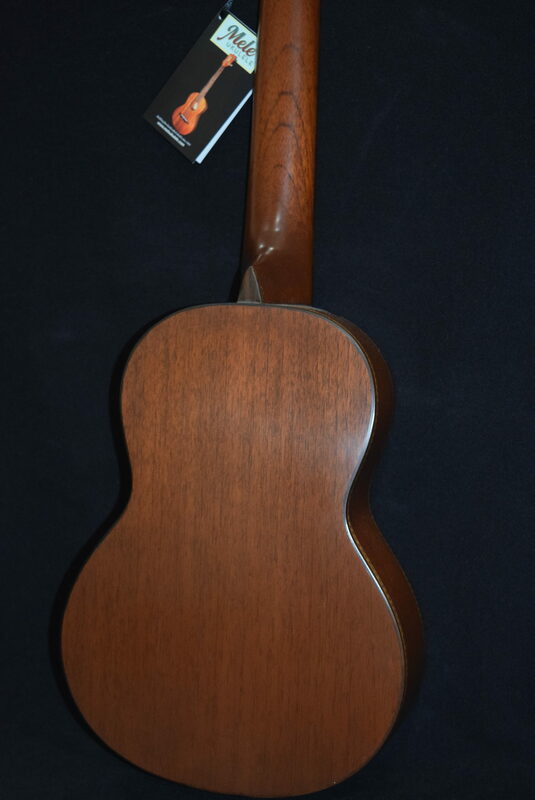 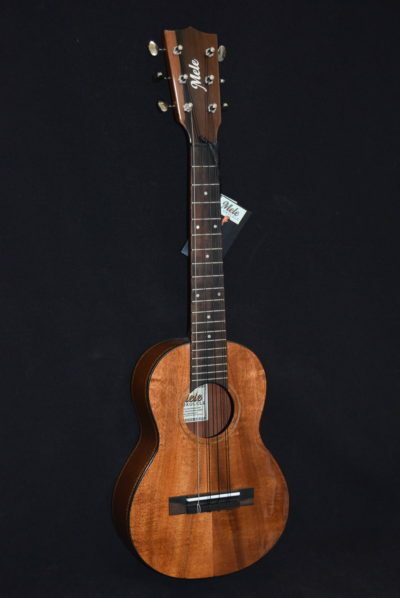 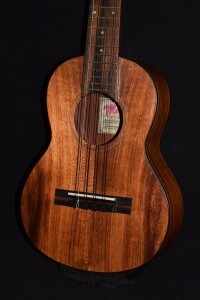 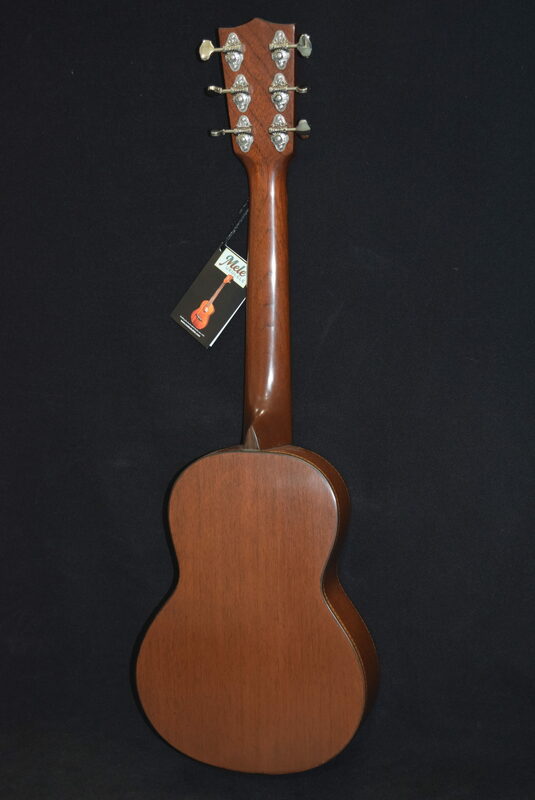 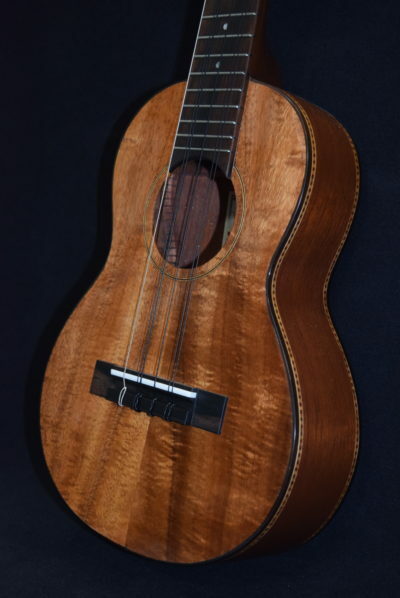 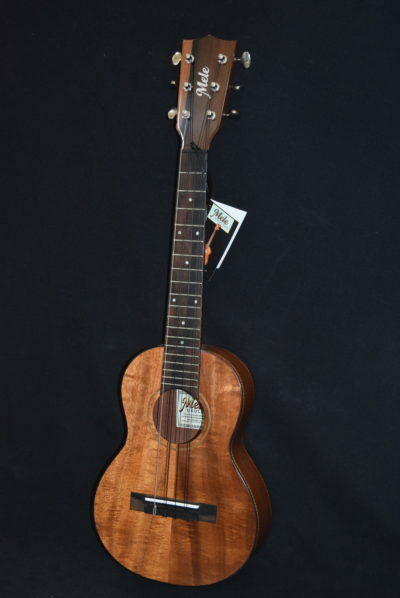 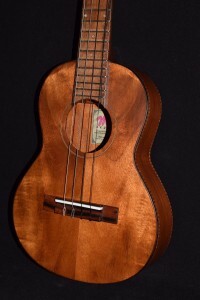 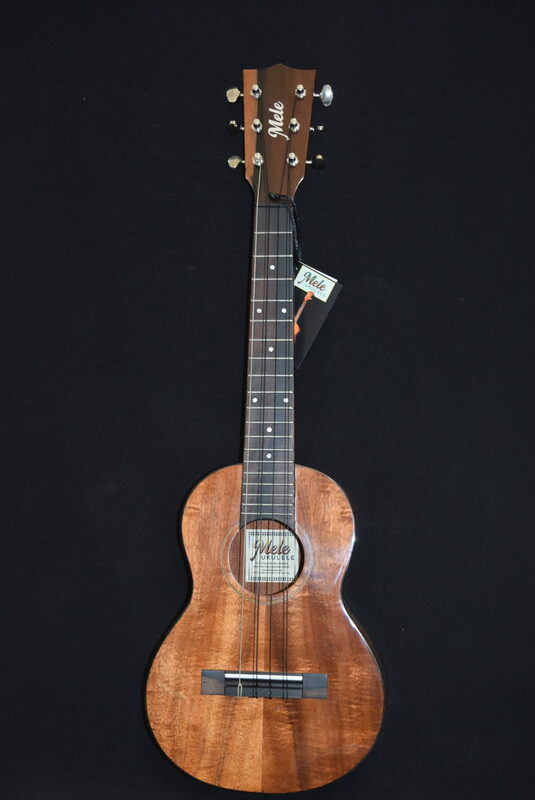 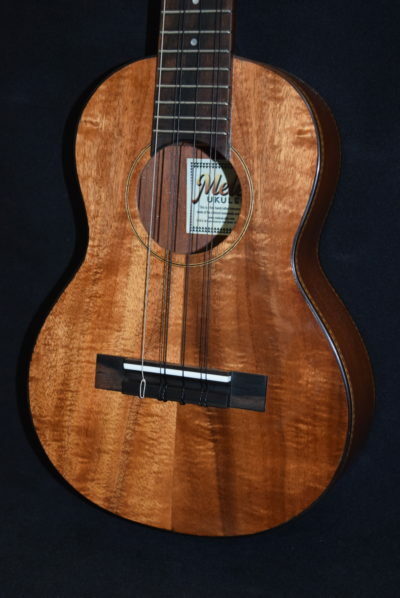 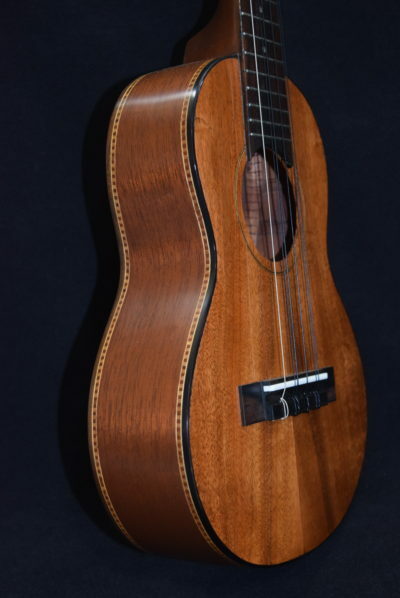 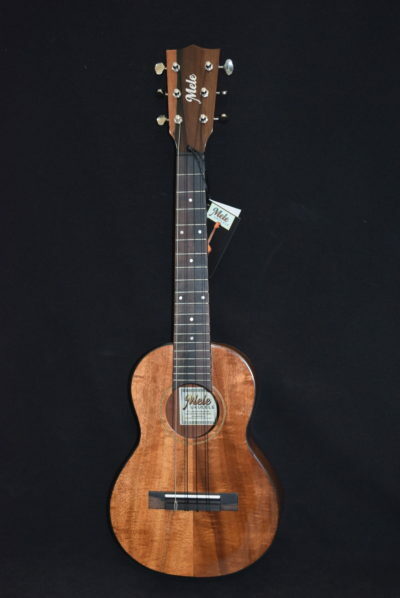 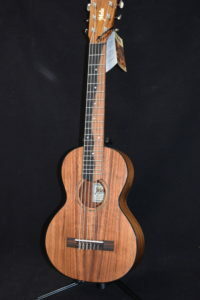 This model #G1 comes with a glossy finish KOA top.